In December 2016 (photography, writing + media) students and staff from four tertiary institutions (RMIT University, Pathshala South Asian Media Institute, Griffith University, and Photo Circle) met in Kathmandu to interrogate the question, "what knowledge is necessary to practice responsible, socially engaged non-fiction visual storytelling". The event included a two day symposium led by local journalists, editors, historians, educators and curators, a series of workshops facilitated by Laia Abril, Donald Weber, Salvatore Vitale, Laura El-Tantawy and Oliver Vodeb, and the development of collaborative works between students, staff and the local community. The three week project aimed to broaden staff and student networks, introduce collaborative methodologies, promote critical discussions on photography and representation, and reflect on the need (if any) for visual storytelling practices. The _ on this site project was initiated by Australian artist and educator Kristian Haggblom. Drawing on Joel Sternfeld’s text of the same name, _on this site explores how practitioners use photography to interpret stories of place. The Queensland iteration of the project was initiated by Kelly Hussey-Smith and features the work of Angela Blakely, Rebecca Smith, Raphaela Rosella, David Lloyd, Ana Paula Estrada, Martin Smith, and Kelly Hussey-Smith, who have each produced work in response to the northern bayside suburbs of Brisbane. The resulting works do not attempt to define the region, but instead reveal what there holds meaning for each artist. 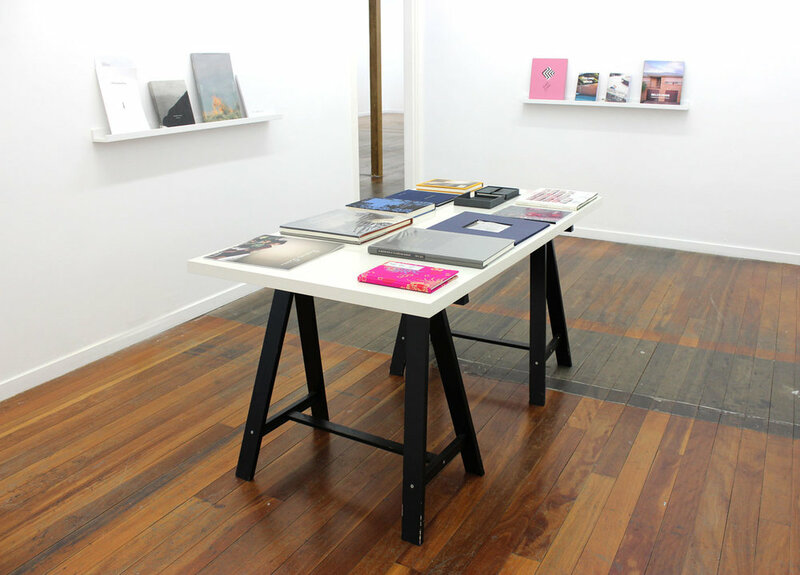 As part of the _on this site exhibition I worked with Australian journal Common Ground to curate and present a selection of contemporary photobooks by women artists responding to ideas of place. Many of these books were from my personal collection.